When Moses met God that day in the burning bush, God gave him an assignment and a message. Moses’ response was to ask what he should answer when the children of Israel would ask, “What is His name?” God’s reply was “I AM WHO I AM” (Exodus 3:14). 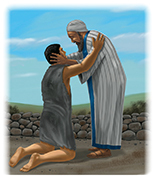 In that response God revealed His very nature to Moses, carrying the authority behind the message. In the following centuries God revealed His plan and person to the children of Israel through the prophets, giving them insight to their coming King and Messiah. The New Testament made it clear that God “has in these last days spoken to us by His Son,…through whom also He made the worlds; who being the brightness of His glory and the express image of His person, and upholding all things by the word of His power, when He had by Himself purged our sins, sat down at the right hand of the Majesty on high” (Hebrews 1:2-3). Jesus openly proclaimed who He was and why He came. Knowing the hearts of those who daily heard His words and saw the miracles, He asked, “Who do you say that I am?” Peter answered from his heart what the Father had shown him, “You are the Christ, the Son of the Living God” (Matthew 16:16). Today each man and woman, boy and girl, in every nation must answer that question—either accepting Jesus for who He is and what He did for them or rejecting the evidence and claims so clearly presented in God’s Word. On this decision hangs an individual’s eternal destiny. “And this is the testimony: that God has given us eternal life, and this life is in His Son. He who has the Son has life; he who does not have the Son of God does not have life” (1 John 5:11-12). 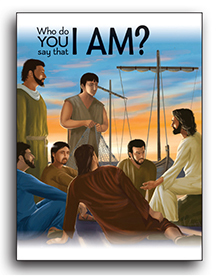 World Missionary Press is pleased to present Who Do You Say That I Am?, a new double-sized illustrated 48-page topical Scripture booklet. Through Christ’s words about Himself, verified from the Old Testament passages which they fulfill, this addition to WMP’s Scripture-based titles clearly declares that Jesus is the Son of God—God manifested in human flesh—the One who would save the world from the “wages of sin” and restore fellowship between the Creator and those who would believe and receive the gift of eternal life through Jesus (Romans 6:23). Specific Scriptures show just who Jesus Himself claimed to be, why He came to earth, that He is the only way to eternal life, that He is the expression of God’s great love for all the world and invites “whosoever will” to come to Him and receive eternal life as a gift (Titus 3:4-7). To really know someone, we must spend time with that person. As we come to know Jesus as our personal Savior and discover that He really is who He says He is, His love fills every part of our lives because we trust Him. That love and trust builds a foundation that no storm can shake. One of WMP’s major distributors shared the following testimony, after two years of persecution swept through the Indian state of Gujurat. In a village on the Gujurat-Mahdya Pradesh border, the village chief told 50 simple, God-fearing Christian families they could no longer live there. The Christians gathered up their meager belongings and walked away from all they had known and loved. As they were leaving the village, the chief offered a solution. They could stay if they paid a fine and denied Christ. No one chose to stay. Instead they walked until they found safety and shelter under the trees in the jungle. What made them walk away, leaving all? They walked away because of Jesus. They knew Him, and He was all they needed. In a post-modern age, where skepticism and rejection of objective truth and morality influence minds, the sure Word of God stands solid, trustworthy, and powerful. Set adrift by a lack of something or someone to believe in, people all around the world look to the temporary, finding only passing relief for their unsettled minds and empty hearts. Christ says, “Come to Me,…and I will give you rest” (Matthew 11:28). A lady requesting Scripture booklets to share with family and friends wrote, “My niece tried to commit suicide and I believe she didn’t get a full chance to know about God.” Many “are facing troubles in life without full knowledge of God’s truth.” Oh, the joy and comfort that come when we truly know the Savior, believe His words, and accept His call to follow Him! This new booklet is currently available in English only. 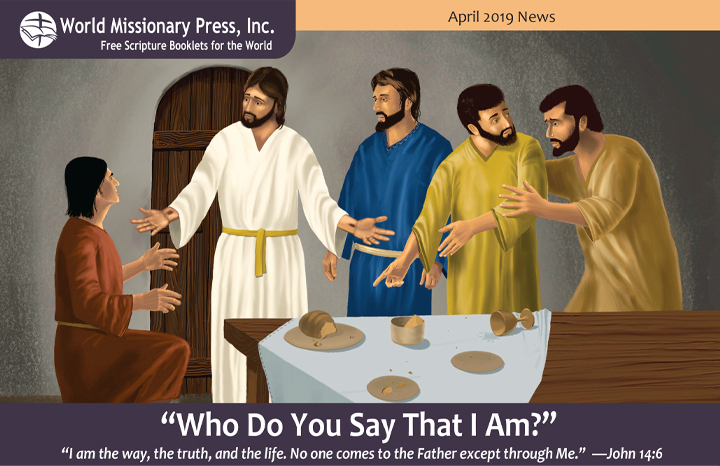 Free copies can be ordered, or it can be read online: wmp-wdysay.org or on the free WMP App (search for World Missionary Press in your app store). Translations into other languages will follow. “God blessed me with a wonderful and prosperous trip to Haiti. We arrived at a mission house in Port-au-Prince. We greeted everyone, ate, and worked in barrels getting bags together to give out on the road. I thank God for answering my prayer on how to reach more people with His Word. 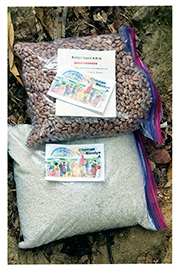 The answer—put a small bag of rice and beans and a care pack including a Scripture booklet, The Way to God in Kreyol, in a draw-string bag for giving to adults on the side of the back roads. In 1978, my husband Willie and I bought the Dewey Miller property east of Goshen. We became familiar with World Missionary Press through Dewey’s daughters, Betty and Treva Miller, who both worked there at that time. Forty years later, our three children are now adults with families and careers of their own, leaving me with a different kind of time. I have volunteered at WMP for about two years now. I’ve made boxes and boxed Scripture booklets at the bindery, but most of the time I’ve helped stuff the monthly mailings. It’s a time to visit with friends and get to know other volunteers from this area, as well as groups from other areas, while doing something worthwhile. The atmosphere at World Missionary Press is truly unique. Out on the floor in the plant, with the sound of equipment running, there is a sense of something that’s hard to explain. The stories I’ve heard over the years of God’s timely provisions for WMP are truly amazing. There are testimonies of how the Lord has provided personally for employees, too. I’m glad to be part of this local operation in a small town in northern Indiana that, through faithful workers, reaches and blesses so many people throughout the world. On the personal side, my husband and I enjoy watching our nine grandchildren grow. We like to follow their sporting events and any programs they are involved in. We also like to travel and spend time with friends. 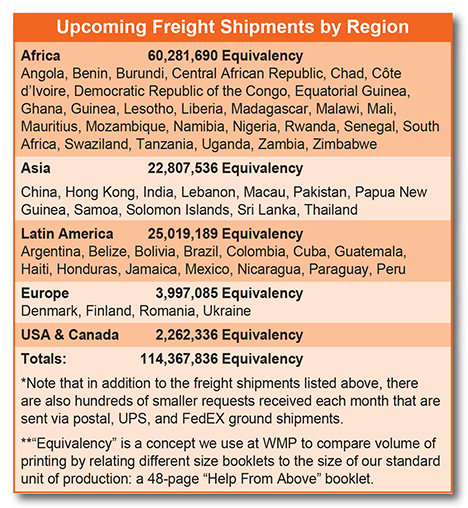 As new doors open for sending large freight shipments to various countries—some for the first time and others for more concentrated distribution in larger countries—we see the Lord’s hand in building strong partnerships to accomplish His purposes. What a blessing to trust His plan! Dave D. shares his story of how God arranged contacts and circumstances to open a new door to flood the South Pacific with His Word. WMP: How did you learn about World Missionary Press? Dave: I met Alan B. (WMP’s partner from Canada) in 2013 at Missions Fest Vancouver (Canada’s largest mission conference). When he asked if we were interested in giving out gospel literature, I told him, “No, thanks, our charity just gives out Bibles.” I think he misunderstood me because about two weeks later he mailed me a box of Scripture booklets for Papua New Guinea (PNG). We had never been to PNG, nor did we know anyone from there. Upon reflection, I remembered a pastor I had met in the Solomon Islands who was from PNG. He had asked if I could send him some gospel literature sometime. I had his email address, so I contacted him. He was delighted because he was planning an evangelistic mission to people working in the mines. We mailed him the box of Tok Pisin booklets. Some time later he contacted me and said the miners were extremely blessed and came running for them. WMP: That’s amazing! How did your partnership with WMP develop? Dave: A few years later our charity started going to Swaziland and Mozambique, giving out Bibles. Crossing the border into Mozambique, we were met by people desperate to get the gospel. I even met pastors who had no Bible. I did not know how we could help so many and started praying about it, as we are just a small charity with limited funds. 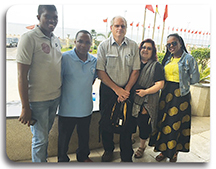 Soon after I returned home to Canada in December 2017, Alan B. phoned me, saying he was the one who had sent me gospel booklets five years earlier for PNG. I said I didn’t remember him, but thanked him, relating the story about PNG. He asked if we were still doing mission work. I told him about the Africa need, and he ordered 23 boxes of booklets in six languages which your organization mailed to us in Canada. When my wife and I went to Africa in September last year, we took five suitcases on the plane totaling 10,000 booklets. The Bible Society of eSwatini (formerly Swaziland) and the Bible Society of Mozambique helped us with the distribution. WMP: Do you have other opportunities to share WMP material? Dave: We have been giving out WMP booklets here in Canada around the Vancouver area, some going out to the homeless. 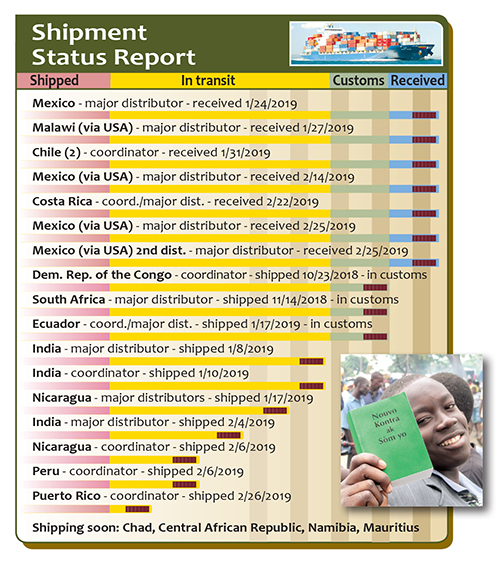 This year at Missions Fest Vancouver, Alan B. planted a seed in my mind about possibly sending a whole pallet of your booklets to the Solomon Islands, as we plan to go there again this year. My wife and I started praying about sending a whole container with a few key stops throughout the South Pacific. I contacted my friend Jack T. in Vanuatu, a long-time manager for the Bible Society in the South Pacific with many contacts in most, if not all the countries in the South Pacific. I have worked with him on many projects and mission trips over the past 18 years. WMP: We’re excited about this new opportunity to send a large shipment to the South Pacific, and grateful for the support of the Bible Society. Our God is indeed the Master Networker! Dave: We give thanks to God for the amazing things He has done thus far, and for using Alan B. to send us the booklets, especially the first time. What seemed to be a mistake turned out to be for God’s glory and to advance His Kingdom. I shared this story at Missions Fest Vancouver this year at the exhibitors’ meeting, and everyone rejoiced in how God moves in amazing ways. 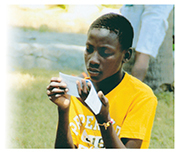 Your booklets are Scripture-filled and anointed. We are very grateful for your organization and the wonderful work you do in the world.